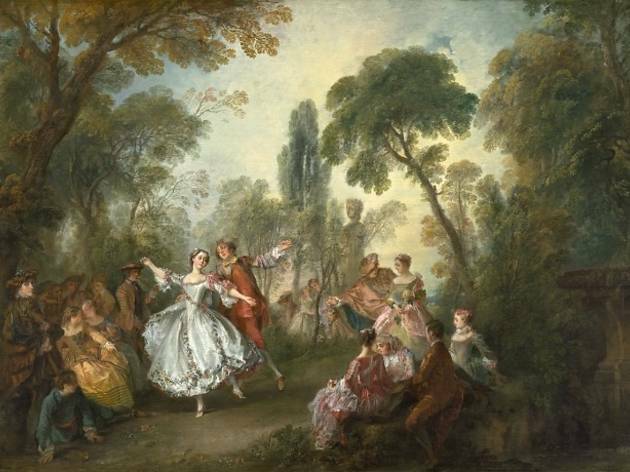 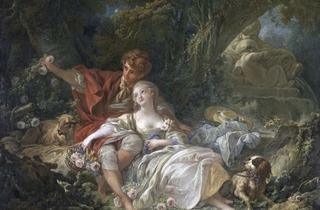 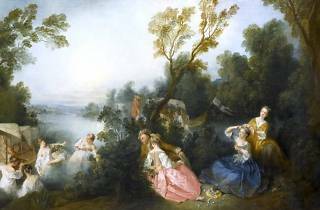 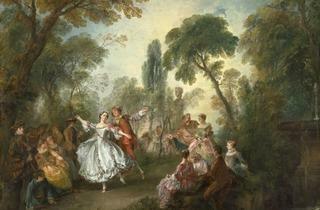 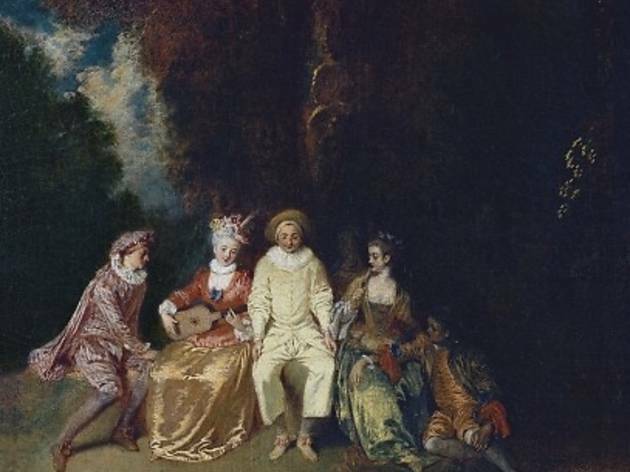 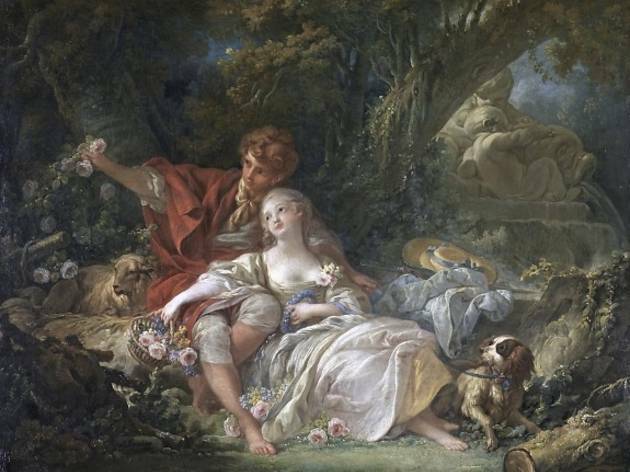 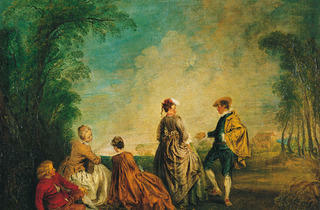 Fêtes galantes (courtship parties) was a term invented particularly for Antoine Watteau's elaborate party scenes, full poetry and sensuality. 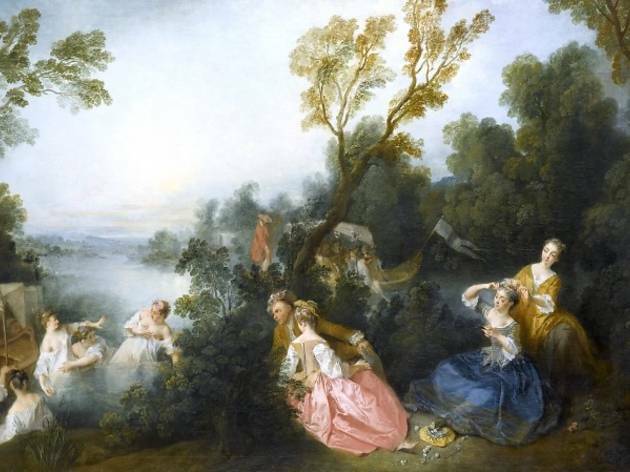 Descended from the Venetian and Flemish pastorals that bloomed in the 16th and 17th centuries, these paintings showed young people play-acting in a bucolic landscape, with a light-heartedness that meant that they have always been sidelined by the artistic canon. 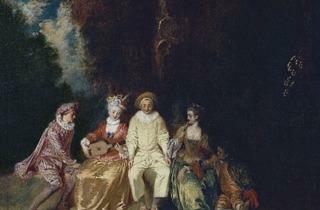 Paradoxically, this is the best thing that could have happened to them; of a minor genre, they held no interest for the court of the King of France and were completely free of the constraints of the Academy. 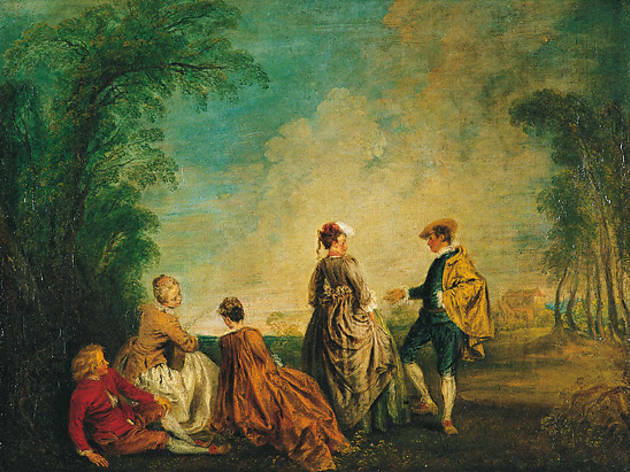 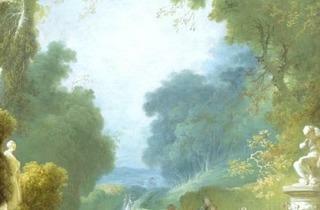 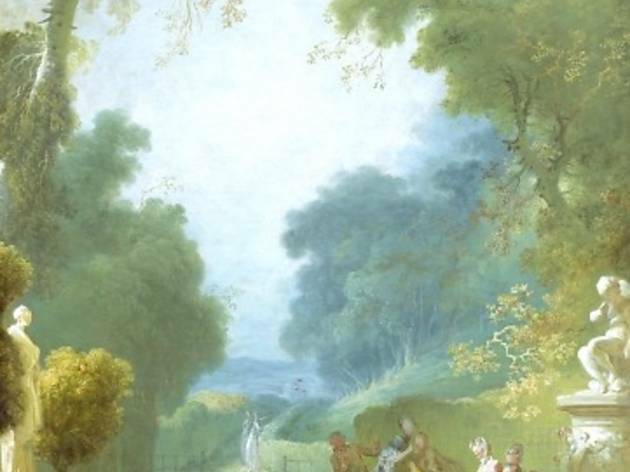 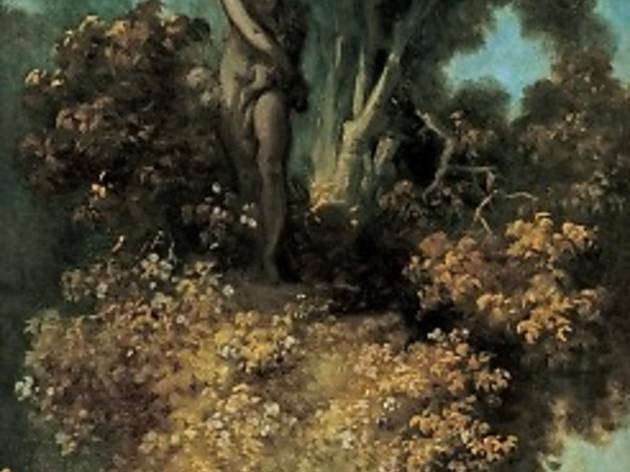 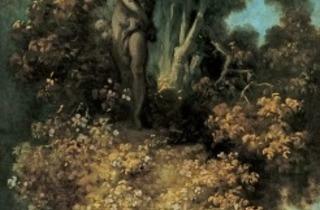 Too recent to be subject to the codes of historical or religious paintings, or to have to formulate a clear and explicit aim, they ended up being a breath of fresh air for artists searching for innovation, influencing many of Watteau's successors.